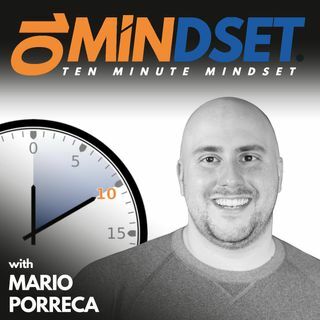 Anthony English joined Mario on 10 Minute Mindset to talk about imposter syndrome, what it really looks like, and how to overcome it when it shows up. Anthony helps small business owners understand their value, so they can be confident about their pricing and service offerings. He believes that understanding the value you bring to your client is critical to your success. It's what is going to drive new business your way, by bringing the focus onto the positive outcome you're going to ... See More bring your client.